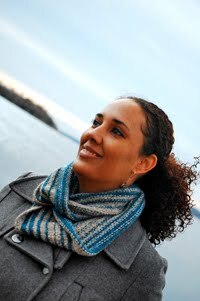 Cambria Washington: knitwear & patterns: Takoma is all done! 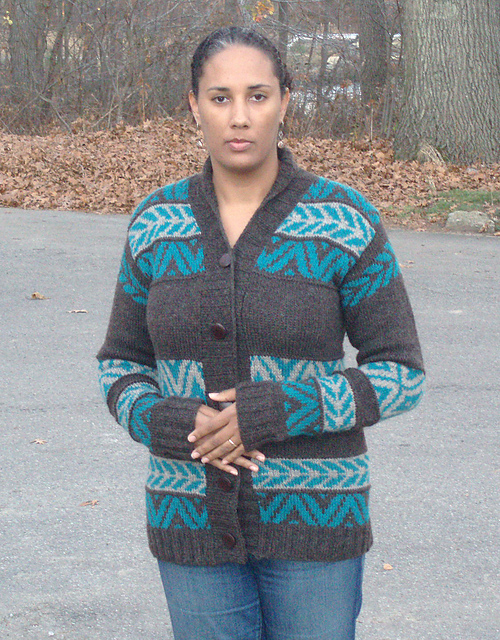 I finally finished knitting my Takoma sweater, and I haven't taken it off since I got the buttons put on. I changed the shawl-collar to one with 2x2 ribbing to better match the cuff and hem details. 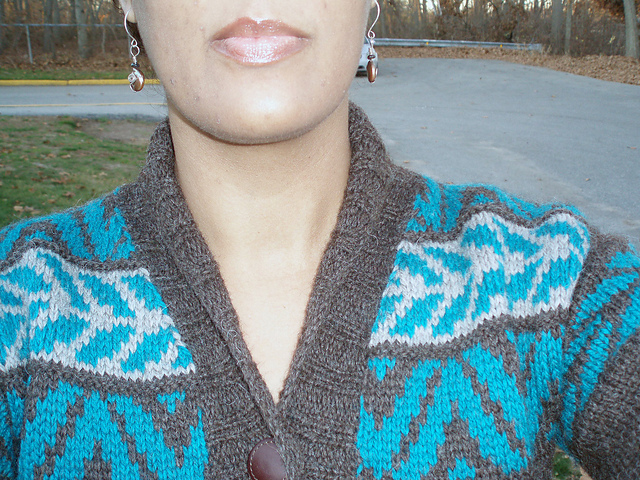 I actually did knit the original collar as written in the pattern, but then I pulled it out and replaced it with this one. I'm much happier. The Eco Wool grew a bit after blocking. 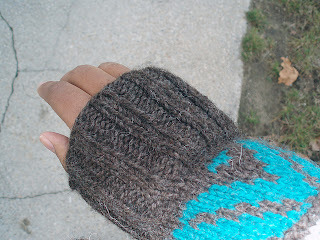 I knew it would, and I counted on it, but I didn't realize that my sleeves would grow quite as much as they did. They're super long, and I'm actually really excited about that. When you're as tall as I am, you rarely have to worry about sleeves being too long :) It's a refreshing change. I went with dark brown leather buttons from JHB. Naomi and I are going to have to go onto their site to get the care instructions for the buttons. I hope that I won't need to remove them every time I need to wash the sweater... Thankfully, these don't need to be cleaned very often. Check out that set-in sleeve! I'm really proud of this one. The fit wasn't exactly perfect, since I'd steeked the armhole and I knit the sleeve in the round. Thankfully, I got it sewn in evenly all around. 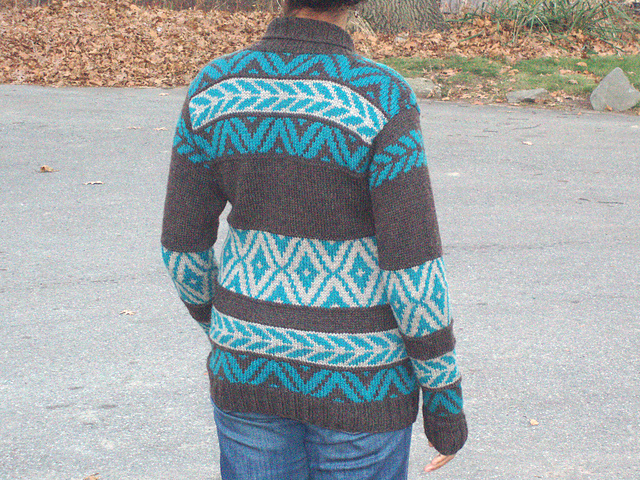 And you'll also notice in earlier photos that I fixed my error in the colorwork section in the middle of my arm. 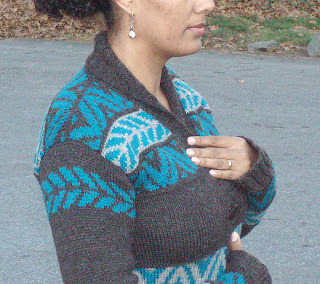 Beautiful sweater! I love the colors you've chosen. 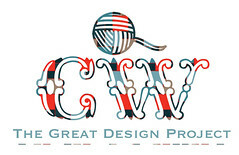 Woo - you are one fast knitter! It seems like you just cast on. It looks beautiful on you. I think it's fabulous! I love it when family members think that comparing our labors of love with "store bought" is a compliment. But I think we all know he means it in the best way.